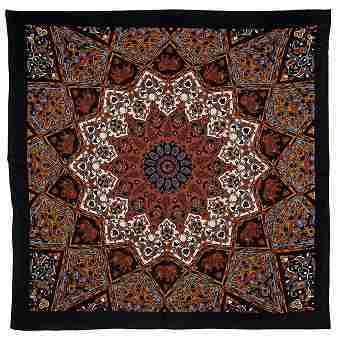 This intricate Indian print bandana looks just like are Indian designed tapestries. maroon, Blue, & Black are the main colors of this bandana. It's made of 100% cotton and measures 22" x 22".